The auto industry is always changing. From vehicles to parts within the vehicles, the best way to ensure that your vehicle continues running smoothly and looking great is to purchase only factory parts. GM-Car-Parts.com has the factory GM parts you need no matter what you drive Corvette or Jimmy or anything between. If you are in need of factory GM parts, GM-Car-Parts.com can help. Whether an armrest broke off and needs replacing or your vehicles previous owner replaced some parts with aftermarket parts that aren’t to your liking, GM-Car-Parts.com can get it back to the same look, feel, fit, and quality that GM provided straight from the factory. Make sure you keep your GM running the way you want it too and customize its appearance with genuine GM OEM parts and accessories at wholesale prices. Parts ship within 24 to 48 hours by FedEx Ground unless otherwise specified and can be expected within 2-5 business days. First established in 1926, Pontiac enjoyed success throughout its history throughout North America. Marketed in the U.S. as well as Canada and Mexico, Pontiac specialized in mainstream performance vehicles. From the Big Six Series in 1928 to the 2019 G8, Pontiac as a brand may be gone now but its models live on. Here at GM-Car-Parts.com, we carry all the Pontiac OEM parts and accessories you need and at wholesale prices. Find parts for Pontaic models ranging from the 1984 Firebird to the 2010 G6 and everything in between. Whether you are looking for an entire cooling system or just a filter, you can find all the parts you need here at GM-Car-Parts.com. Pontiac OEM parts are still available, and we have them. GM-Car-Parts.com sells all genuine GM parts and accessories to the public at wholesale discounts. Need a replacement mirror for your Grand Prix or a exhaust system for your Torrent? Then check out our catalog by clicking the link above. We’ll check your order with your VIN to make sure you get the right parts for your vehicle. Order over $300 and Ground Shipping is FREE* (subject to restrictions). A full size sporty sedan, the Pontiac G8 is known for its kick, its looks and its full list of features as well. 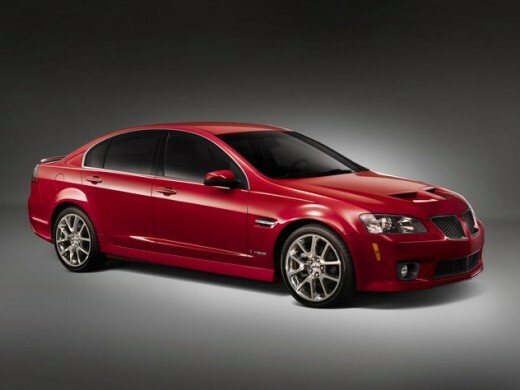 First manufactured as the Holden, an Australian GM subsidiary, the G8 was produced from late 2007 to mid 2009. Meant to take over for the GTO, Grand Prix and the Bonneville, it was later replaced itself by the Caprice. Produced on the GM Zeta platform, the G8 is well known for its power, style and as one of the best of its kind. A rear wheel drive vehicle, the G8 offered three trim levels including base, the GT and the GXP which was only produced in 2009. All trim levels were known for their standard features including 18 inch wheels, power seats, 7 speaker CD sound system and more. Beautiful on the inside and on the outside and amazing on the road, its no wonder G8 owners want to take care of their cars. If you own a Pontiac G8 and are looking for parts, welcome to GM-Car-Parts.com, your source for Pontiac G8 parts and accessories. To keep your Pontiac running and looking like new, count on genuine GM OEM parts and accessories from GM-Car-Parts.com.